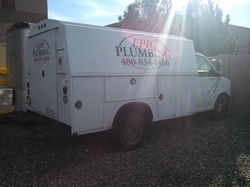 Epic Plumbing is a locally-owned and operated residential plumbing contractor. We have a long-standing reputation for operating with the utmost of integrity. We respect every one of our clients, and we are recognized experts in all areas of sewer repair, drain services and re-piping services. Please do not hesitate to give us a call if you have any questions whatsoever, and we will work diligently to show you why we are one of the best plumbing service companies in the entire area.